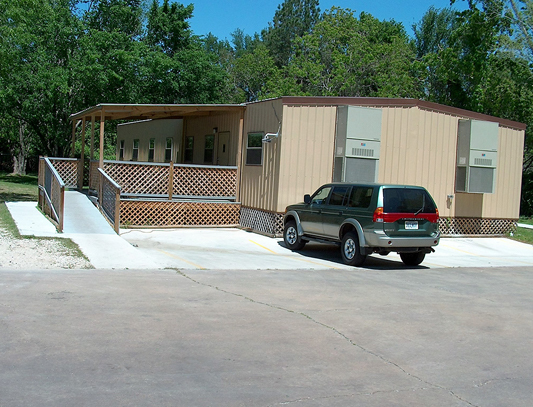 Modular Office Building with site built covered landing and ramp for commercial use. 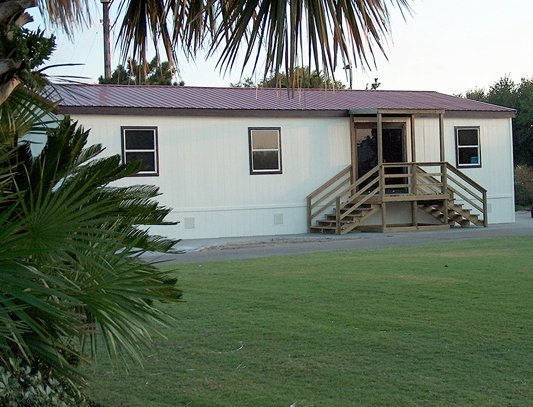 Modular Office Building with metal landing and steps for industrial use. Modular building for temporary golf pro shop with site built landing and steps. Portable Office inside a warehouse. 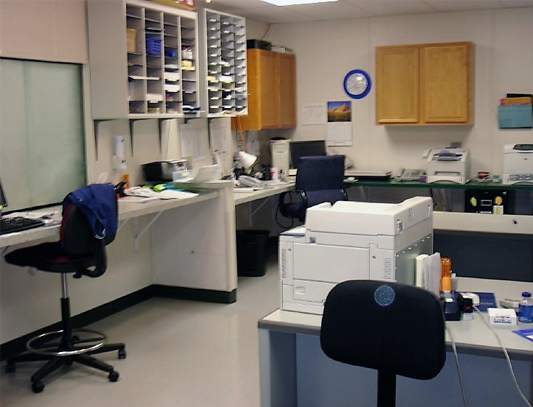 Interior office area of Mobile Clinic Building. 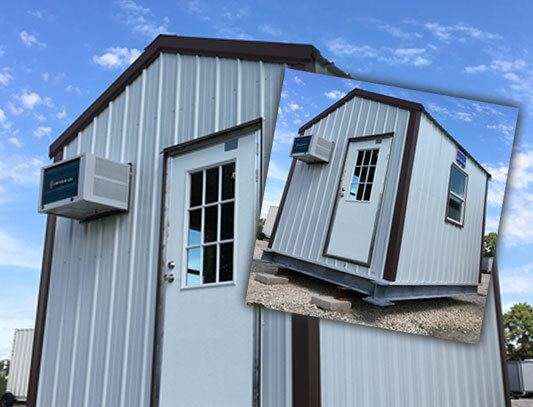 Pictured: 10' x 12' Portable Office Building with a restroom. This Portable Skid Building has a Steel Frame and is mounted on Galvanized Steel Skids. It has Class 1 - Division 2, Group D Electrical and a Hazardgard Air Condtioner and includes a CXI Provector Heater. 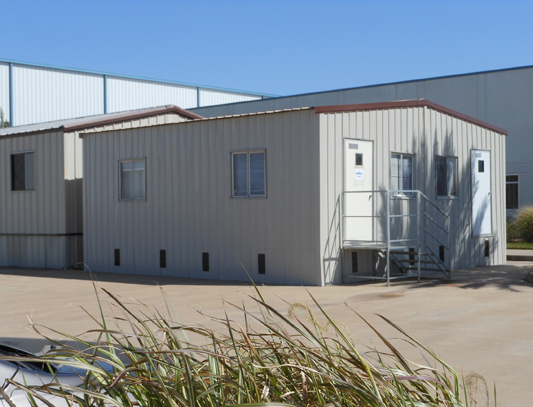 Our Mobile Office Buildings can be built to our customer's specifications. 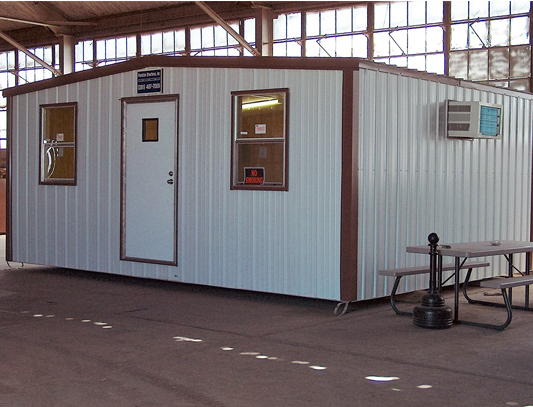 This Jobsite office could be used as a Security Office, Guard House Dock House or Guard Station.